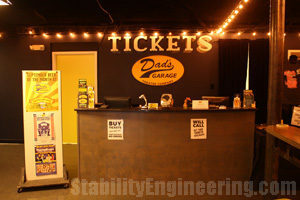 Stability Engineering is proud to be a part of the team that renovated Dad’s Garage, which won the 22nd Annual Urban Land Institute Award for Excellence. 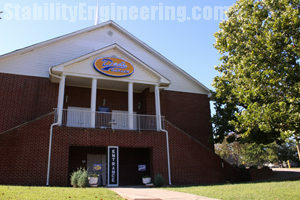 For this project, Stability provided engineering to convert this 12,000 sf former church building into a theater. 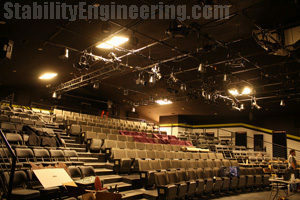 For its new purpose, the theater was engineered to support stadium/tiered seating; roof trusses were modified to support lighting; and a new elevator shaft and pit were added. 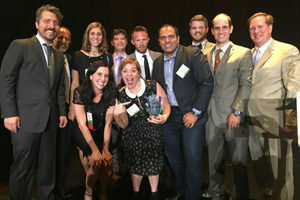 The ULI Awards for Excellence program recognizes an outstanding real estate development project or initiative that exemplifies the ULI’s mission of providing leadership in the responsible use of land and in creating and sustaining thriving communities. Congratulations to Dad’s Garage, Pimsler Hoss Architects, and the entire team on the award for this great project.